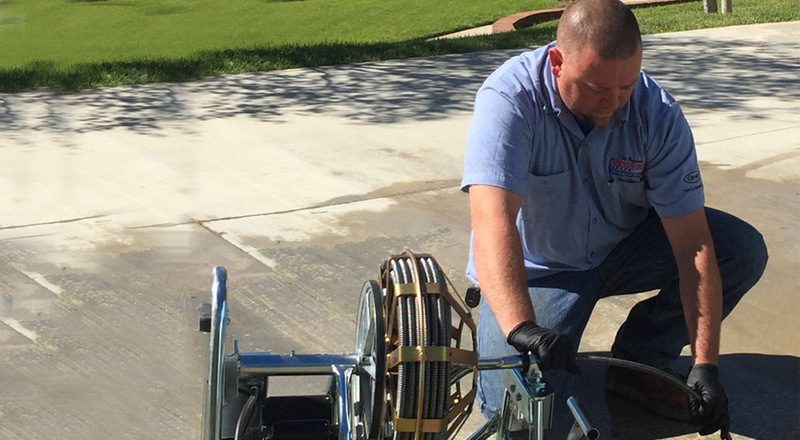 Rely on Steve's Service for fast, reliable, and affordable drain cleaning, repair, and maintenance services in San Bernardino County. We have highly experienced plumbers, thousands of satisfied customers, and a reputation for quality work. We're able to work on all types of drains, and routinely unclog, clean, and repair sink, shower, and toilet drains as well as sewer lines. No job is too big or too small, and we're available 24 hours a day, 7 days a week to respond to emergency plumbing problems. For stoppages and clogs, we will run a snake and/or roto-rooter/drain cleaning machine down your line to cut out and break apart blockages often caused by paper towels, rags, sponges, toys, cell phones, feminine hygiene products, flushable wipes, etc. Hydro jetting is a drain cleaning process that uses pressurized water to remove tree roots, grease, sand, and more, as well as clean the inner diameter of your pipes. We always carry a small or medium hydro jetter on our trucks, and have access to large hydro jetters for commercial and small industrial pipes. Small and medium hydro jetters shoot water at about 1,500 psi, and our commercial hydro jetters run as high as 3,000 psi. A sewer camera lets us visually inspect drains and sewer lines. By doing so, we can see the exact source of a clog, condition of the pipes, extent of any damage, and more. Sewer inspections have proved useful for many San Bernardino area residents, businesses, and multi-tenant properties when they want to determine the cause of a recurring issue. If we discover that your pipes are leaking or have severe root intrusion, our experts will assess the extent of the problem and provide you with an estimate for drain repair or replacement. RootX is a very effective and affordable chemical treatment usually used to kill tree roots in main sewer lines. For other drain lines, particularly those with a lot of soap or grease build up, we offer a variety of chemical treatments that are non-harmful to plumbing and the environment. Free Estimates. Available 24/7 for Emergencies. Fast, Reliable Results. Call today to schedule fast and effective drain cleaning services in Upland, Ontario, Rancho Cucamonga, Pomona, Eastvale, City of Industry, Hacienda Heights, Diamond Bar, or other communities throughout the San Gabriel Valley and San Bernardino County. We provide free quotes and, because we know your time is valuable, small appointment windows. Steve's Service is locally owned, family operated, and fully licensed and insured.